The lab heads to Rochester NY to showcase latest research! For the Fish Systematics and Biodiversity Lab, summer means time for fieldwork, workshops, and conferences. 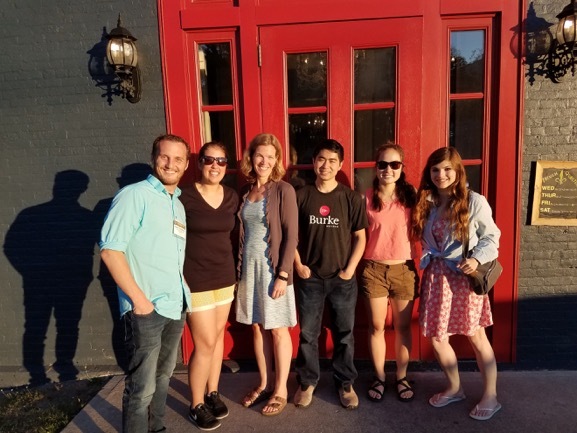 In August, six members of the lab flew to Rochester NY to present at the Joint Meeting of Ichthyologists and Herpetologists (JMIH). For five days we were able to share all of our hard work, discuss plans, and most importantly, have fun with colleagues past, present, and future. Katherine Maslenikov (collection manager) helped kick-off the event by leading a half-day workshop teaching best practices when caring for natural history collections – an honor merited by her years of hard work with the University of Washington’s Ichthyology Collection. Over the following days, Katherine, Luke, and four of his students presented on the various research projects happening in the lab. Katherine co-authored a poster looking at ontogenetic series of fishes through contrast-enhanced CT scanning. M.S. 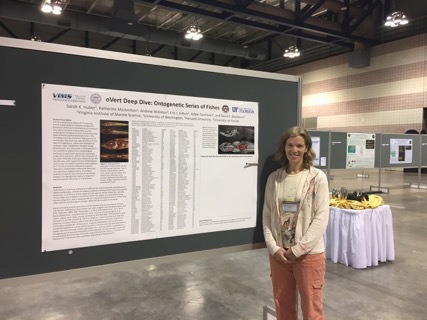 student Jenny Gardner shared her exploration in CT scanning snailfishes in the family Liparidae, who get their claim-to-fame by being the deepest living vertebrate on earth! She is using the 3D scans to characterize the internal morphology, particularly of soft tissue, in these fishes and how it differs between species. CT scans are traditionally used for detecting hard tissue such as bone, but Jenny is experimenting with making soft-tissues more visible by staining her fishes using iodine. Calder Atta, another M.S. student, presented his field surveys from a previously unsampled coral reef in the Red Sea, a poorly studied region to begin with. 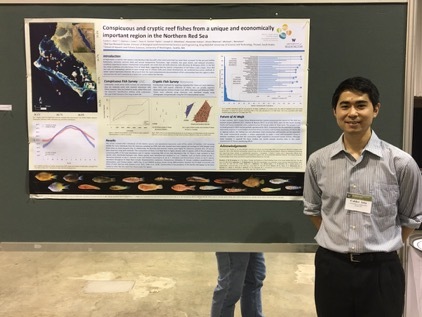 His work shows that there is a diverse community of cryptobenthic fishes and provides evidence for a unique composition of reef fishes in the area, potentially including some new species. He also highlights the importance of using both visual transects and cryptobenthic collections in biodiversity surveys. Dara Yiu recently graduated and shared her completed undergraduate thesis on the dwarf goby Eviota. Her work followed the discovery of two different color morphs within the species Eviota atriventris. She used genetic markers to test if the color morphs represent distinct lineages within the species and found that the gobies may be in the process of splitting into separate species. Both Luke and Emily McFarland (rising junior undergrad) presented on fish communities that live on Caribbean deep reefs. Emily focused on how different trophic guilds (Carnivore, Herbivore, Planktivore, etc.) are distributed through depth and between sites, as well as the time-consuming work of extracting data from submersible dive footage. Luke brought attention to a distinct community of fishes that inhabit these deep zones that have been neglected by scientists for years, now called “rariphotic” reefs. Rochester Convention Center, on the last evening of the trip. The 2018 JMIH was a great opportunity for students to network, and for our lab to connect with fish biologists around the world. Without these connections, we would not be able to study the wonderful world of fishes!